Vanderbilt Basketball is at rock bottom, or is it? The UK Wildcats beat the Vanderbilt Commodores 87-52 in Nashville on January 29, 2019. Photo by Madison Lindeman. After his team ran the Vanderbilt Commodores off of their own floor in front of a raucous Rupp Arena crowd at Memorial Gymnasium, Kentucky Wildcats head coach John Calipari reflected on Vanderbilt’s recent struggles and offered some wisdom from his coaching career. To some, a message like that is a glimmer of hope in a dark situation. To Vanderbilt fans right now, it’s just tempting fate. Vanderbilt’s flat-out embarrassing 87-52 loss to Kentucky was the type of loss many expected to see last week against the #1 Tennessee Volunteers. It was ugly from the start, and took place at the speed of a slow-motion car crash. The Commodores turned the ball over 20 times on the night and made only 17 shots from the field. There’s no other feeling to feel but embarrassment. To the players’ credit, they did play their hearts out in the second half after what as an abysmal first half in which they only scored 15 points. Players drove hard in the paint, played with passion on defense and laid out for loose balls. That type of toughness given the numbers on the scoreboard is what makes Vanderbilt athletes special. But, there’s only so much you can say about effort and heart. Everything but the second half effort was beyond terrible. Kentucky ran their offense with ease, defended without much of an issue, and the crowd that was mostly blue and white at tip-off suddenly became entirely blue and white. Even the band, one of the last bastions of black and gold left in the stands, couldn’t stand to watch anymore. 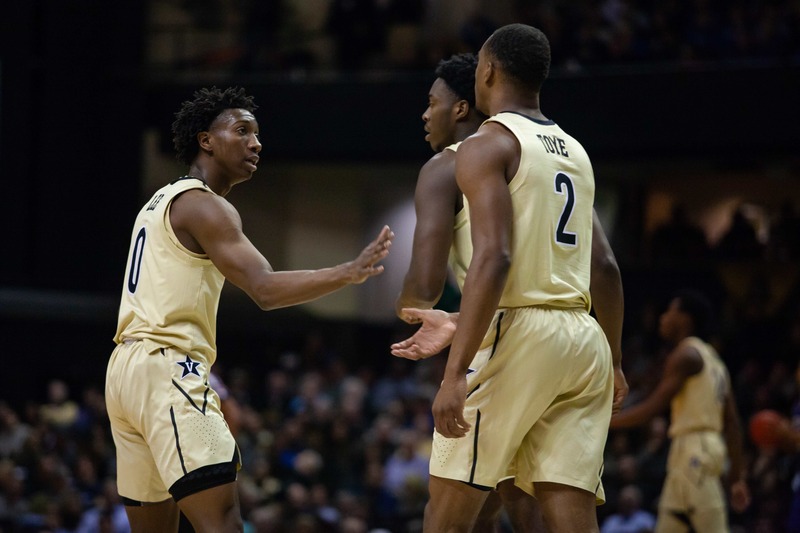 Vanderbilt has seen plenty of embarrassing losses at home across all sports, but this one has to be in the top tier given the expectations for this season and the results that have followed. All signs point to Vanderbilt hitting rock bottom with a game like this. But have they? There are 11 games left in the season before the SEC Tournament, and only one of them is against a team with a losing record overall: Texas A&M on March 2nd, and that game is on the road. Out of Vanderbilt’s eight remaining opponents, just three of them are outside the NCAA NET Top 50, and they face only one of those teams more than once (Arkansas). It’s difficult to imagine a worse result than what transpired at Memorial Gym on Tuesday night, but be honest: some of you have undoubtedly Googled if any team has ever gone 0-18 in SEC play. 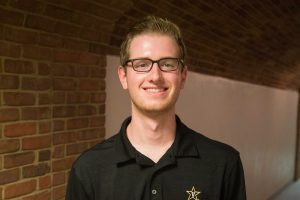 The effort and heart is clearly there from the players, and as long as high-level recruits remain interested in Vanderbilt, Drew will likely remain the head coach no matter what happens down the stretch this season. Any change that happens as this season winds down will have to happen within that framework. In the meantime, the mood hasn’t changed completely for the Commodores within the locker room. Perhaps those smiles on Wednesday morning will be a positive force that brings the team back from rock bottom and back to winning ways. Or, maybe they will make it that much more crushing when the Commodores hit a previously-unfathomable rock bottom next week that’s somehow rockier and bottom-ier than this one. Vanderbilt’s next chance to turn things around or hit a new low comes this Saturday on the road at Missouri.